9781447330226 - Dismantling the NHS? 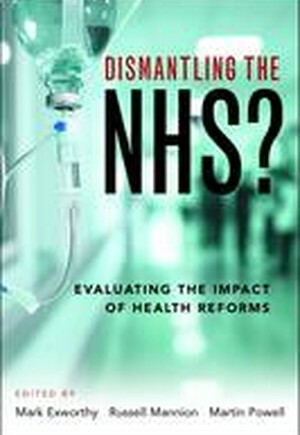 An in-depth analysis of the NHS reforms ushered in by UK Coalition Government under the 2012 Health and Social Care Act. Contributions from leading researchers from the UK, the US and New Zealand, and a foreword from Julian Le Grand, examine the reforms in the contexts of national health policy, commissioning and service provision, governance and others. Never again? A retrospective and prospective view of English health reforms ~ Martin Powell and Mark Exworthy.